Ohio Wesleyan University celebrated the school’s 175th birthday Friday with streamers, confetti, and the board of trustees voting with their loudest voices to launch the public phase of a seven-year campaign, which will conclude in 2021. The Connect Today, Create Tomorrow campaign was started in July 2014. 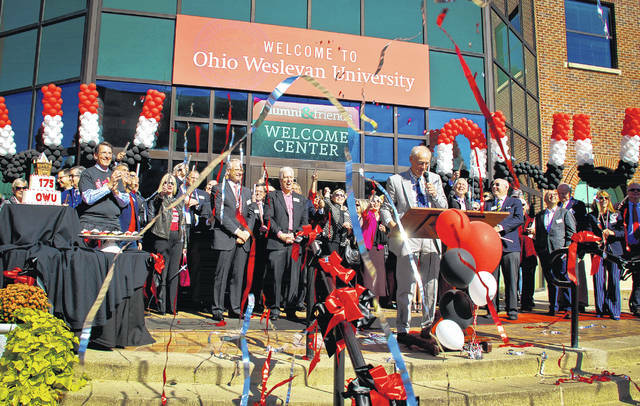 At the celebration, the leadership phase of its $200 million fundraising campaign was announced by Tom Tritton, chair of the Ohio Wesleyan University board of trustees. Trittion said the campaign has raised more than $130 million to date.